I did end up choosing to paint the Hudson with MMS Artissimo. And voila, here he is. I absolutely adore him. This was the perfect color, and I’m so glad I saw Danielle’s piece and was inspired to go with it. I used MMS furniture wax as my top coat this time, and I did find that the color did not get as dark as it does with hemp oil. 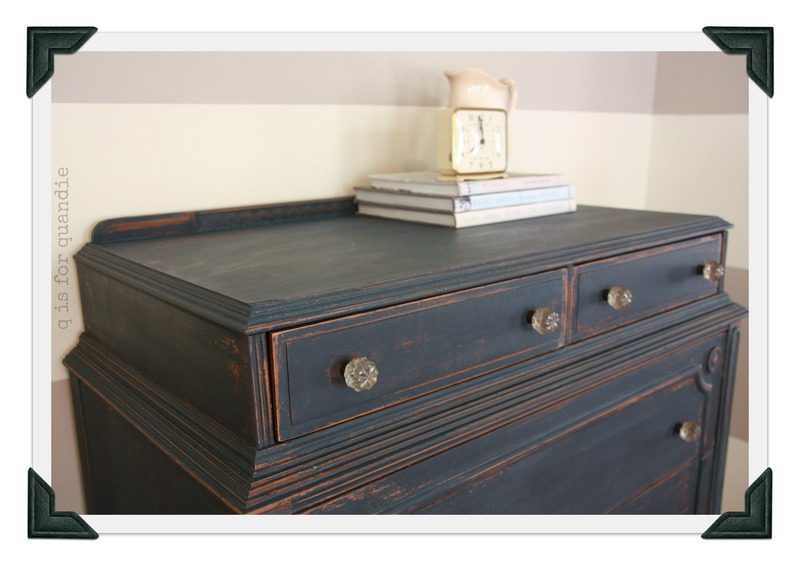 Really, both finishes are nice with this paint color, but if you want the blue to be a little more obvious, then wax is the way to go. You’ll notice that I gave him all new knobs. I have a confession to make. I am a bit of a hardware snob. I prefer to retain original hardware, and when that doesn’t work, I have always tried to use vintage replacements. I have quite a stash of vintage knobs that I’ve picked up over the years. But this guy has 12 knobs! I just didn’t have a dozen knobs that would work. And, coincidentally, we FINALLY got a Hobby Lobby in the Twin Cities! I stopped in the other day and was quite certain I had died and gone to knob heaven. 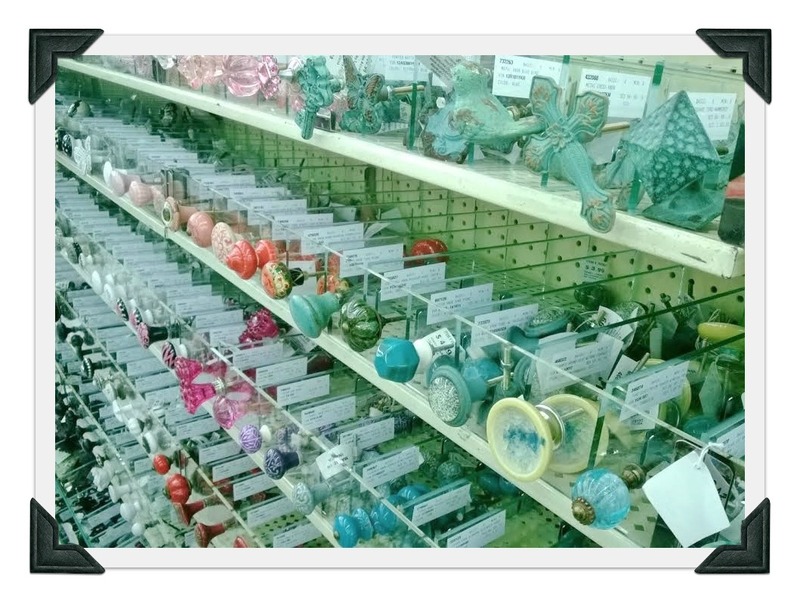 I knew that Hobby Lobby had a good selection of inexpensive knobs. Every time I visit my mom in Nevada, I bring home a suitcase full of knobs and other fun stuff from her local Hobby Lobby. Now I have a local store! And not only that, knobs were 50% off the day I went in. It’s as if it was meant to be. I stocked up. Big time. And I found the perfect knobs for the Hudson. 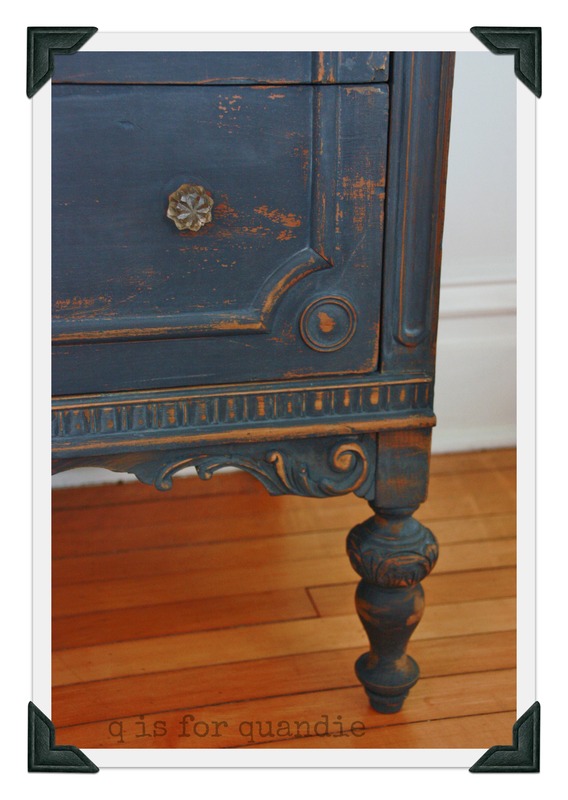 They look old, and they don’t distract from the fabulous detail on this dresser. Look at these amazing legs, and the details around the bottom. I’m so happy with this one that I just couldn’t stop taking pictures, and then I couldn’t decide which ones to use for my post. Final before & after. Next just in case you were wondering. I’m so glad you posted all the photos. This one is fabulous! You were right on about the blue. It’s a looker that’s for sure. I am with you on hardware it can make or break a piece. I understand your photo lust the perfect finish with the perfect knob love it Quandie. Oops how did I manage to leave it twice sorry! LOL. And here I thought I was getting lots of comments! You’ll be happy to know that Hobby Lobby is going to be opening a bunch of stores in the Twin Cities in the next year or two. One of the clerks mentioned that as well. I hope we get one in Maplewood, that would be closer for me than Woodbury. 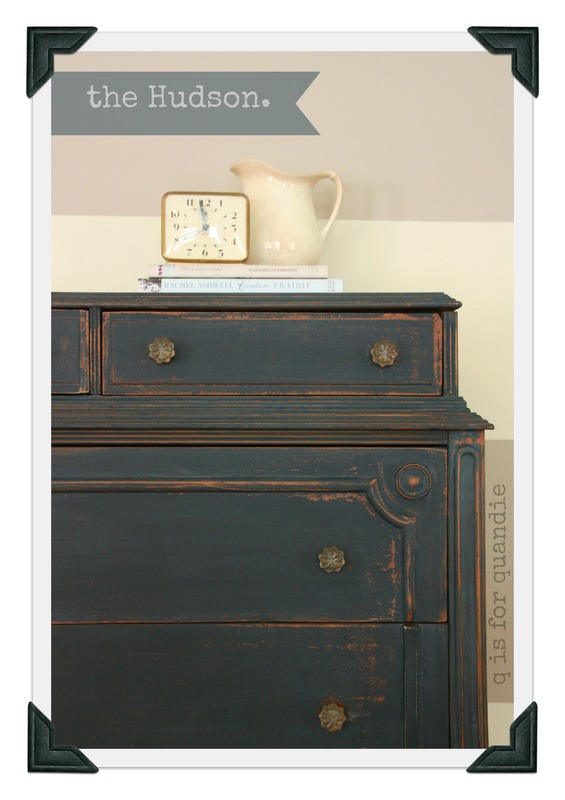 The color is sophisticated and suites this gorgeous chest of drawers. I have a big carton of knobs, also. All organized in bags. But, I’ll be darned if there is ever the number I need. Apparently, there are Hobby Lobbies and then there are Hobby Lobbies, because ours doesn’t have a fabulous selection like that. 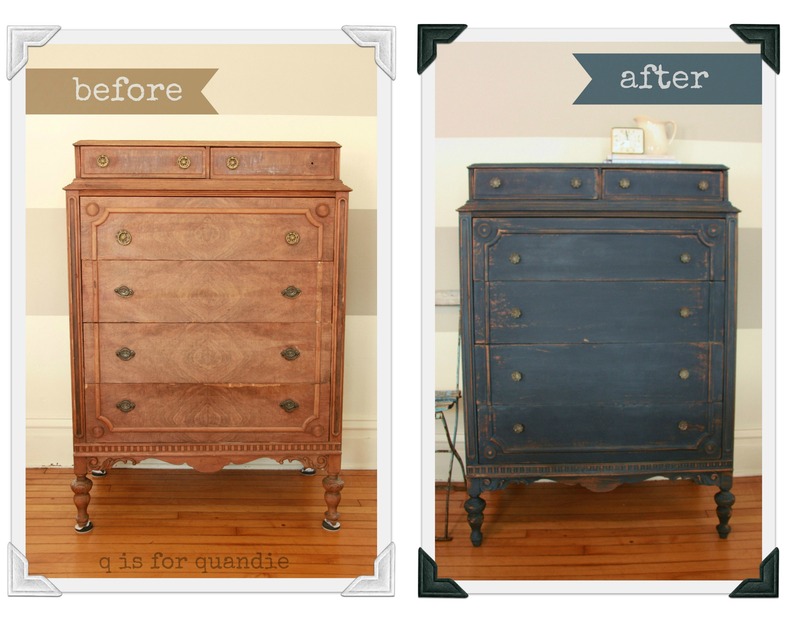 The chest of drawers is just fabulous. Oh. I feel doubly lucky knowing that not all Hobby Lobbies have that selection of knobs! Good to know. I will say that they did not have great quantities of any one style. If you were trying to re-knob your kitchen and had 36 knobs (or more! ), you’d have a hard time finding them. I suppose you can order on line, but then you have to wait for them. I’m not very good at the waiting thing. So beautiful! Love how Hudson came out. I also love the knobs. I wish there was a hobby lobby close to me. Thanks Danielle! I hope you get a Hobby Lobby soon. I’d been waiting for years for one to open near me. Not to brag but there are 3 Hobby Lobby stores in my town. If you are ever in need I can pick some extras up for you and ship them out. Ah, so you guys are hoarding all the Hobby Lobby’s down there! 😉 Thanks for the offer, I will definitely keep that in mind.